Quinn and other officers on the scene said Kellom dropped down from a ceiling and advanced on them with a hammer. 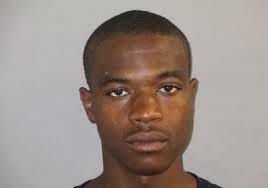 But one Detroit police officer who initially said he saw Kellom with a hammer backtracked under oath. During a November deposition in the Kellom’s federal lawsuit, Officer Darrell Fitzgerald said that contrary to his initial report, he never saw Kellom with a hammer— and that when he first saw Kellom, he was on his knees, not coming toward the officers. Kellom’s parents, along with their attorney Nabih Ayad, are calling on Wayne County Prosecutor Kym Worthy and the state attorney general’s office to re-investigate Kellom’s death. “And the real truth is that Terrance Kellom indeed did not have a hammer. He indeed was shot multiple times, we believe by another shooter, in that room, in that house,” Ayad said. Bullets struck Kellom from four different directions including twice in the back, according to a report prepared by former Michigan State Police forensics expert David Balash. Balash was retained by Ayad as an expert in the wrongful death case. “The investigation into the shooting death of Terrance Kellom by the Detroit Police Department appears to have been driven solely by what the shooter and the other members of the arrest warrant entry team told investigators what happened, rather than having the evidence drive the investigation,” Balash wrote. Ayad says the MSP’s lead investigator on the case, Detective Richard Sanchez, is closely tied to Detroit Police, and that he failed to question witnesses or examine forensic evidence before concluding his investigation. Terrance’s father Kevin Kellom, who witnessed his son’s killing, has always insisted his son didn’t threaten officers that day. He admitted his son was “disrespectful,” but says that shouldn’t have gotten him killed. “My son never had a hammer. Which I knew this from the jump, but still my son was shot down like a dog in my face,” Kevin Kellom said. Kellom and Terrance’s mother, Nelda, laid out the new evidence in a letter to Worthy that pleads for a new investigation. “The evidence now before us makes clear that there was no deadly weapon, there were multiple shooters, and there has been a cover-up in order to hide these facts and the multiple constitutional rights violations that took place,” the Kelloms wrote. Wayne County Prosecutor's office will release Terrance Kellom investigation "in the near future"
The Wayne County Prosecutor’s office says it's still investigating the death of Terrance Kellom, a 20-year-old man fatally shot by a federal agent in April. But Friday morning a group of activists plan to hold a silent vigil outside the courthouse, saying the prosecutor promised the investigation would be released by tomorrow.